We’d love your help. 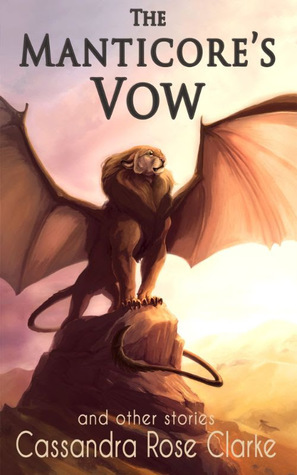 Let us know what’s wrong with this preview of The Manticore's Vow by Cassandra Rose Clarke. The Manticore’s Vow collects three stories set in the world of Magic of Blood and Sea, all exploring the origins of some of its most memorable characters: Naji, the scarred assassin, Marjani A vain assassin takes an assignment with dire consequences. An aristocratic lady fleeing her past is besieged by pirates. And a manticore princess sets out on a life-changing adventure. To ask other readers questions about The Manticore's Vow, please sign up. The thrilling action sequences I was given an ARC in exchange for an honest review.